""The German word for experience - Erlebnis - the experience of the life, to live through something - underpins this book: making visible scholarly opportunities for richer and deeper contextualizations and examinations of the lived-world experiences of people in everyday contexts as they be, do and become." (Ross Todd, Preface). Information experience is a burgeoning area of research and still unfolding as an explicit research and practice theme. This book is therefore very timely as it distils the reflections of researchers and practitioners from various disciplines, with interests ranging across information, knowledge, user experience, design and education. They cast a fresh analytical eye on information experience, whilst approaching the idea from diverse perspectives. Information Experience brings together current thinking about the idea of information experience to help form discourse around it and establish a conceptual foundation for taking the idea forward. 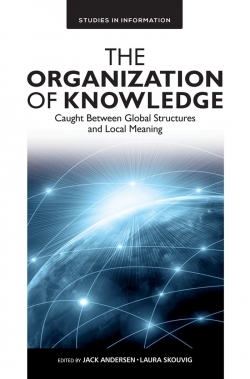 It therefore "provides a number of theoretical lenses for examining people's information worlds in more holistic and dynamic ways." (Todd, Preface)." How to Lose Friends and Alienate People: The High Cost to Business of Poor Information Experiences. Information Experience: Contemporary Perspectives. Researching Information Experience: Object and Domain. Informed Bodies: Does the Corporeal Experience Matter to Information Literacy Practice?. Researching Information Experience: Methodological Snapshots. Information Experiences of Teen Content Creators. Exploring Information Literacy during a Natural Disaster: The 2011 Brisbane Flood. Information Experiences: A Native American’s Perspective. Experiential Brutality in Sense Making: Researching Dynamic Sense Making Processes in Online Discussions about Kidney Failure. Diversifying Information Literacy Research: An Informed Learning Perspective. Information Experiences in the Workplace: Foundations for an Informed Systems Approach. Information Experiences of Female Legislators: Examining Constituency Activities and Representation in the Ugandan Parliament. The Expert Searcher’s Experience of Information. Experiences of Informed Learning in the Undergraduate Classroom. The Emotional Valence of Information Experience: Relation to Personality and Approach to Studying. Information Experience in the Context of Information Seeking Methods by Prospective Students. 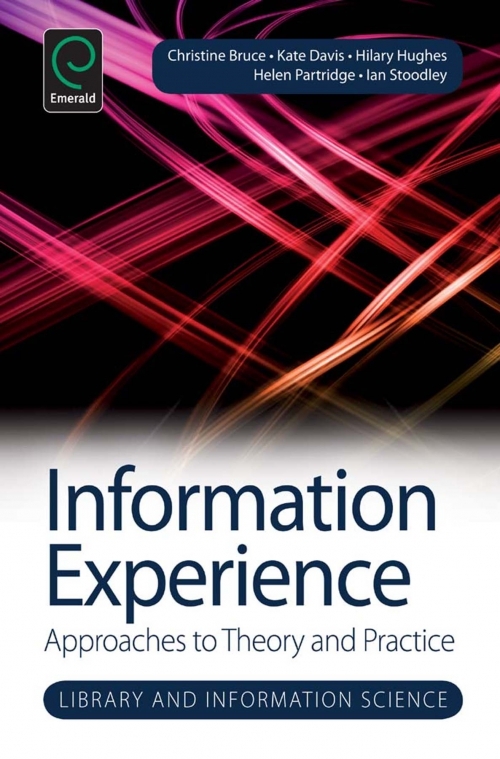 Information Experience: New Perspectives and Research Directions. A Reflection on the Relationship between the Study of People’s Information Behaviour and Information Literacy: Changes in Epistemology and Focus. Creating and Expressing: Information- As-It-Is-Experienced. List of Contributors. List of Editors. Preface. Index. Information Experience: Approaches to Theory and Practice. Editorial Advisory Board. About the Authors. Library and Information Science. Information Experience: Approaches to Theory and Practice. Copyright page. How to Lose Friends and Alienate People: The High Cost to Business of Poor Information Experiences. Information Experience: Contemporary Perspectives. Researching Information Experience: Object and Domain. 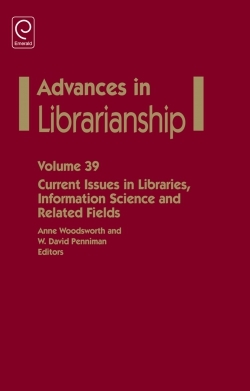 Informed Bodies: Does the Corporeal Experience Matter to Information Literacy Practice?. Researching Information Experience: Methodological Snapshots. Information Experiences of Teen Content Creators. Exploring Information Literacy during a Natural Disaster: The 2011 Brisbane Flood. Information Experiences: A Native American’s Perspective. Experiential Brutality in Sense Making: Researching Dynamic Sense Making Processes in Online Discussions about Kidney Failure. Diversifying Information Literacy Research: An Informed Learning Perspective. Information Experiences in the Workplace: Foundations for an Informed Systems Approach. Information Experiences of Female Legislators: Examining Constituency Activities and Representation in the Ugandan Parliament. The Expert Searcher’s Experience of Information. Experiences of Informed Learning in the Undergraduate Classroom. The Emotional Valence of Information Experience: Relation to Personality and Approach to Studying. Information Experience in the Context of Information Seeking Methods by Prospective Students. 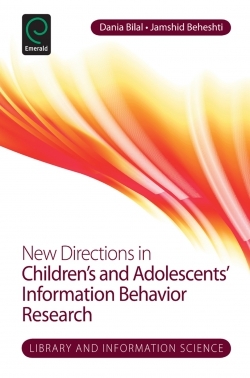 Information Experience: New Perspectives and Research Directions. A Reflection on the Relationship between the Study of People’s Information Behaviour and Information Literacy: Changes in Epistemology and Focus. Creating and Expressing: Information- As-It-Is-Experienced. List of Contributors. List of Editors. Preface. Index. Information Experience: Approaches to Theory and Practice. Editorial Advisory Board. About the Authors. Library and Information Science. Information Experience: Approaches to Theory and Practice. Copyright page.